1. anjolee sent over these super sparkly diamond hoop earrings and i am definitely a big fan. they are the perfect combination of size and bling for an everyday earring. 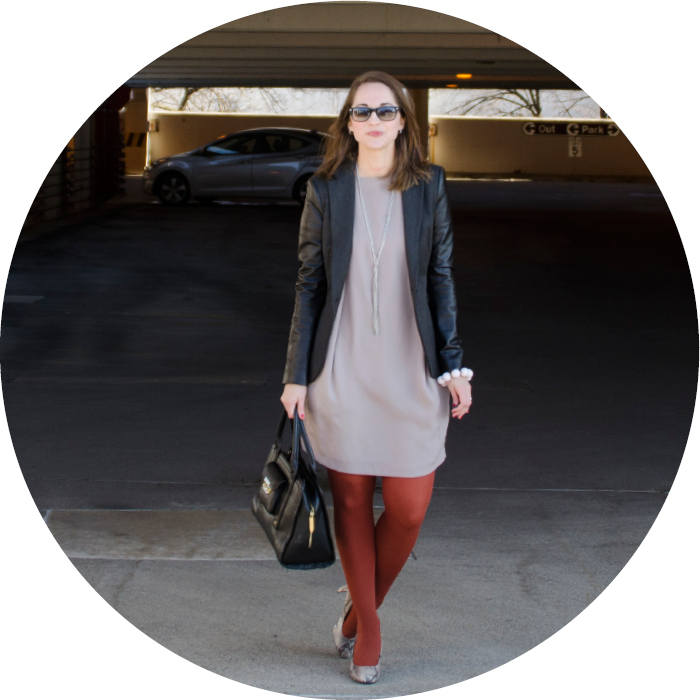 2. heidi (find her blog over here) challenged me a few weeks ago to wear my rust tights again. i have to admit that it took quite a few tries to find the right outfit for them. they tend to look a bit halloween-ish with black, but apparently are perfect with mauvey-grayish-taupe dresses. 3. this snakeskin shoes with colored tights combination is a little out there, but i like idea of grouping two statement pieces together.